I may be exagerating when I say 'fun'. Forgive me for that. There are a variety of ways that you can create a unique, human readable form Id. This blog post is for those of you who prefer not to have to write or buy a web service, and don't want to write more than a little code. I'm warning you -- you will have to write some stored procedures. Or, you know, copy / paste them. It sounds scarier than it is, so let's soldier on. You have a form that you want to give an Id field, for whatever reason. You want your Ids to start with a particular number (we are going to start with 435, just because) and for each subsequently saved form to increment by 1. Now, if your form submits to a database, you can just use an auto incrementing Id column and sleep soundly knowing your form will get the next Id when it is submitted. You don't have a problem. But if we have a form that we save in a network folder, or submit to SharePoint, or do something else with ... well, you have a problem. Actually, a solution. There are a lot. This one involves creating a single SQL table to create and track Id numbers, and two stored procedures to help us make sure the right form gets the right Id. While I am going to add this code to the save request in the form, you can add it to another event if you prefer. We will be adding a couple of data connections to the form, so it will need domain trust, but it shouldn't require full trust. 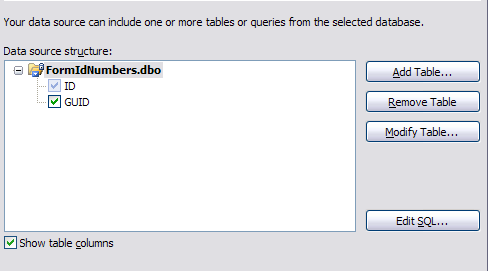 Create a new table in a SQL database called 'FormIdNumbers' with two columns: GUID, which will be a unique identifier, and ID, which will be an auto incrementing identity column. Create a simple form with a field on it that you want to populate with your Id number. I'm just using a text field, so I don't have to fuss about with the xsi:nil attribute. You may be more particular and wish to use an int. 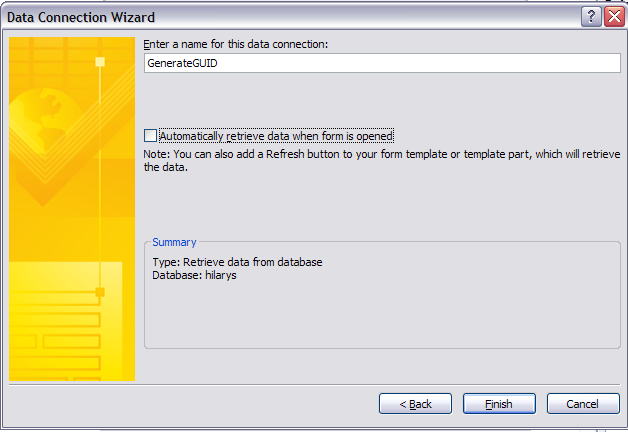 As an aside, all that means is you won't see a view of your data structure when the dialog box closes and you are back in the Data Connection Wizard. You need to make an architectural decision at this point. When do you want to generate the Id number? 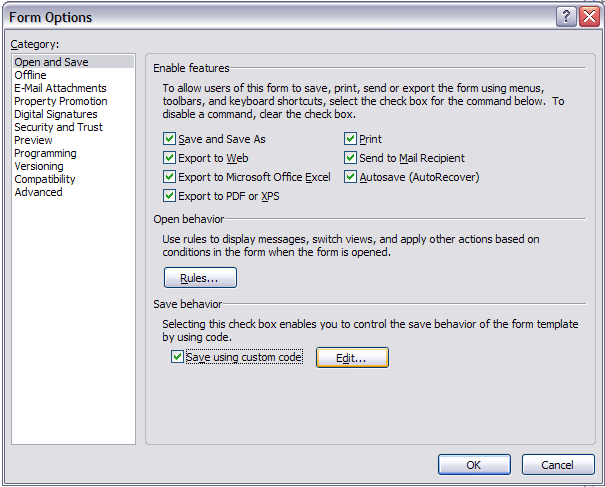 As I mentioned earlier, I plan to generate my Id and populate the Id field in the Save Request event for my form. You may wish to add a button, or put the code in a particular field's Changed event -- it is up to you. // Write your code that will run before a Save or Save As operation here. //query the GenerateGUID connection once to generate the GUID. If you are retrieving this data on form open, you can skip this. Of course, if you changed the names of the data connections, stored procedures, or anything else as you walked through this, you will need to modify the code to address those changes. Those of you who are stored procedure savvy will recognize that if the FormIdInsertRow sproc contained a 'Select' we could return our result set with that instead of running another query. I ran into an exciting InfoPath feature when it comes to auto incrementing identity columns. 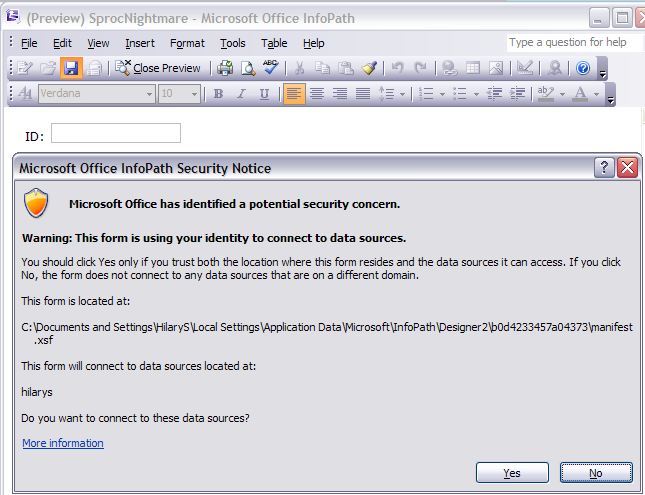 When InfoPath uses the data connection to create the schema, it rolls back the transaction, but not the identity. This means that if I used a sproc that added my new row and returned the results so I would have my new Id number for my form, I would effectively get every other Id number. This thread on a different site describes this issue a bit further. Because of the double call issue, the solution above executes a sproc that takes a GUID as a parameter, then uses the same GUID to retrieve a row from our data table to get the ID number associated with that GUID. Originally, this blog post had an unbalanced 'Commit' statement in the suggested sproc. That was because when I modified an InfoPath receive data connection command to execute a sproc with a parameter, it only worked if the unbalanced commit was there. Jimmy Rishe saved the day (again) and found out that if we set implicit_transactions to off in our stored procedures, everything runs like NASCAR. This is a very good example of how to generate a unique ID. I was able to use it with only one tweak. (I had to include "tbl" in front of my table references. RIght now, I have the form ID being generated when the form opens; however, I'd like this to happen when the submit button is clicked. The only problem is that the Submit Rules occur before the code executes. Any ideas on how to fix this? Rules always run before code. There are some blog posts out there on how to call a code function from a rule that you could try... or you can handle your submit in code as well. "Go to Tools > Form Options and select the "Save using custom code" checkbox"
I can't check that checkbox because it's not browser compatible...i need the infopath forms open with browser...what can i do? Yes, that is a limitation of browser forms. Perhaps you could use Submit instead of Save? I believe you can use custom code for Submit in a browser form. This was exactly what I was looking for. 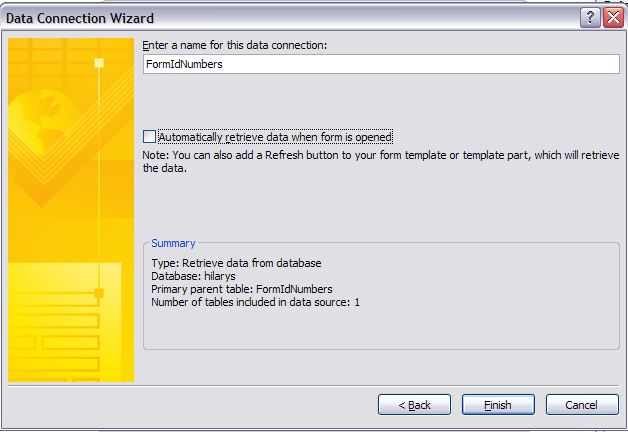 Thanks for posting a detailed description of how to create incrementing form IDs. I followed the post exactly, but still getting an error message when I try to save the form; perhaps you could point me to what i´m doing wrong or a solution? got it working; it was a syntax issue on the xpath . 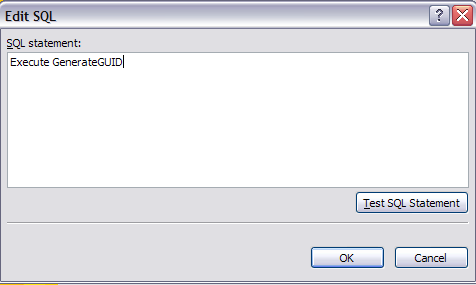 now im getting the error: "schema-validation-found-non-data-type-errors/" on save; looking it up i found it to be something to do with xsi:null attribute.. any hints? got it working by changing the data type on the formid field.. i had left it as integer, and when i switched back to text, it worked fine. 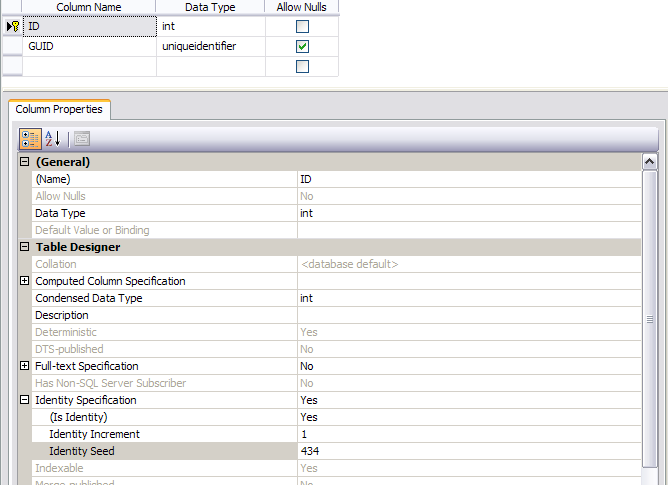 but, will it submit properly to a webservice that connects to a sql server and has to insert this id to a integer column in sql table? in case later i have trouble submiting the formid as text to an integer sql column (due to the xsi:nil), i have checked out this post, and it seems to be a solution, in case somone else needs it. 'FormIdInsertRow' expects parameter '@GUID', which was not supplied. Can you please advise (If possible) if there is something I have missed.